Every now and then, rumors that Lin Chi-Ling and Jerry Yan are getting back together circulate in the media. Lin Chi-ling's staff has even spoken up to confirm that the model-actress is indeed single. In a recent magazine interview Lin Chi-Ling mentions that her life is very happy right now. She says, "Maybe someone's idea of happiness is marriage and love. If that is the basis, then single women don't have happiness?" She subtly talks about her own dating status when she says, "I don't think being single is a sin. Single women are not married. It doesn't mean we are not happy now." Lin Chi-Ling goes on, "Of course we can expect two people to live together, but when you're alone, you should be able to enjoy your solitude, and when you live in the moment, you can make the most out of your present situation. If you're always looking to the future, if you're always waiting for stuff to happen, you lose the chance to enjoy the irreplaceable moment in the present." She finally says, "I'm very happy now." 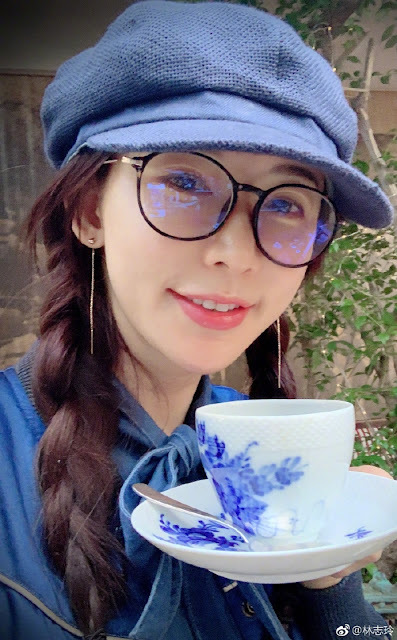 Asked about anything that she regrets, the 44-year old Lin Chi-ling says, "If there's anything that I would regret not doing, it would be that I have not married yet, that I'm not a mother yet. But no matter what the future may be, I believe all single women should make their lives better. And because we live in the modern age, we don't have the conservative values that the older generations had which bind women. We should go forward one step at a time. Whether we lose or gain, All that we live through is precious." I totally agree with her. It is great for women who found someone to build a family with and/or be a mother. But not all women are able to get married or be a mother for various reasons. I am 41 going to be 42 this year. I am perfectly happy being single. Of course it I can meet someone and start a family great but if not I am perfectly fine and happy as I am too. I will continue to do the things I love: travel, hobbies and volunteer. She is still so pretty. She looks really good for her age. Well, hopefully she can find someone and have children soon, that is if she wants children. Either way, I think she has a good attitude in life, to be happy in whatever phase of life you are in. What a woman!!!! Thinking life in different perspective. That too being in the media & entertainment. I am proud of her. A new generation woman!!! !